No one wants to have their outdoor bar furniture ruined by a spill we’ve discussed this several times before. But what about when things go really wrong or even catastrophically wrong? We’ll be discussing pieces to protect against that as well. While you may not end up buying all of these you want to at least consider their value when you are setting everything up. They may pay off more for you than you would ever expect. There are many different fabrics you can use to protect yourself from dangerous spills. In the modern day we don’t just have a choice of them we also have a way of weaving. Heavyweight weaving techniques make them much more durable than ever before with any sort of material. We have microscope precise weaving machines which can create this. So consider that when you are buying something. Covers are a way to easily protect your outdoor furniture and still have great style. 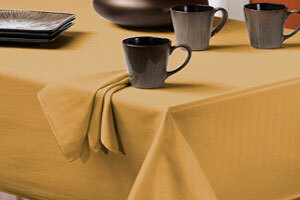 Even if you spill a particularly dense and staining drink they are often easy to wash. Therefore they can protect a vulnerable leather piece or a vintage wood by absorbing much of the spill. Even if a little gets through it is much better than having it splashed down fully. Perhaps the most interesting thing today is that you can get covers and other pieces which are flame retardant on top of being spill resistant. While you may not really think about that as something you need the fact remains in a bar setting there are often flammable drinks and sources to ignite them. There has been more than one bar when a small serving fire has gotten out of control. So that is definitely something to consider. Outdoor Furniture should of course naturally be resistant on some level. You can seal and wax wood to insure this. You can paint metal pieces to guarantee they will last longer. In either case this natural defense should also be combined with other protections to keep them lasting longer. If you do this then you should expect them to stay looking good for years. Another factor you don’t want to consider but should is smell. Even a casual outside bar at home can attract some rather rank odors depending on how everything is set up. In a worst case scenario things can smell absolutely horrible. If possible try to wash off your pieces, especially cushions, since they can accumulate terrible smells. We hope it doesn’t come up with you but it is always a possibility. When in doubt and things have really gone downhill you can always replace some of the pieces. However if at all possible you do not want things to get to that level. Carefully maintain your setting and cover up vulnerable items to make sure this doesn’t happen. Otherwise you could end up spending more money than you expected to replace some damaged furniture. If you don’t you might be driving friends or customers away with smelly, uncomfortable items. A major trend in outdoor bar furniture is to have an all-in-one bar station where you can make everything needed for a party. These vary from a smaller setup just appropriate for drinks and small favors to huge kitchen settings. While these may be somewhat expensive they are also incredibly useful. Few of us have the skills to create an entire setup like this by ourselves so it’s better to get it at a cost. Otherwise you may never be able to have one. The complete ones contain a chiller, an ice station and cooking area. The nicest of these have a full grill that can prepare a massive meal for guests if the need arises. You also have smaller variations with a small friend and icemaker. These might have a small frying or grilling area as well to make smaller meals. There are many different manufacturers for each of these so you have many different choices in this area as well. Outdoor Furniture this large and useful can also be quite expensive. You can expect to pay anywhere from several hundred to a thousand dollars for these. Some of them come in a setting where you can just set them up yourself and others may need some special installation. In either case you should ask your supplier how it is handled when working on it. They should at least have some literature on how to do so. The obvious advantage of this is that you can have a complete outdoor bar station without needing to go to a lot of trouble. For many of us this can be an absolute godsend as we just do not have the time to put all the parts together. People aren’t made of time and it’s better to spend it relaxing rather than working for huge amounts of time on a project that may or may not be fun for you in the long run. Many of them also come in a variety of style that can accentuate your other outside furniture. 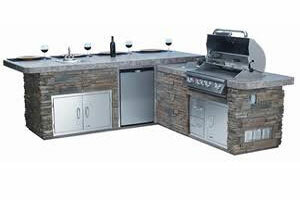 They have nice faux stone or wood finishes to create a very durable setup. This means you can expect them to withstand the elements fairly well. Unfortunately not all of these are made equal so make sure that your supplier guarantees the resistance to elements which you need in order to keep it in good shape. Alternatively you could create an overhang or outdoor room to shelter things from the elements in. Other than the cost and time it takes to install there is very little reason to not buy one of these. Getting a warranty on such a big purchase might be a good idea though. Such a high-value item can be an incredible target for theft if some people roll into your neighborhood with tools and a truck or van. That is perhaps an unexpected part of the setup as well. Drinks are just one area in which buying one of these can improve your presentation since you can use real ice with your outdoor bar drinks. That is something worth paying for. The North Point Bar in Portland combines a classic look with some new approaches to furniture decoration. There are a few excellent reasons for this and lessons to be learned. Obviously those of you running your own business will have a bit more to learn than others so pay extra attention. They have taken a formerly defunct area and breathed new life into it. There is something to take notice of there for sure. Part of what makes the bar so interesting is that it is run by two brothers. They each put in some input for each design decision. It’s always good to have someone giving you a bit of feedback so that you can keep everything in perspective. While too many people giving feedback can give a problem it’s almost always necessary to have one or two people saying something to you. You should try to bring the same setup to your own decisions as well. So how is their style? It has a decidedly vintage look from the outdoor furniture to the bar stools. It looks like you are taking a step into the past. At the same time the pieces are well maintained and cared for. This is something most of us want to strive for. There is just something amazingly charming about any piece that looks classic yet has been cared for extremely well. It makes you feel like the business has been cared for well. Their drinks and serving dishes also have this same feel to them. Many vintage wines are on tap in stylish bottles that were put together quite some time ago. As such they can command some premium prices for them as wine, much like furniture, often gets better with time. There is nothing new about this idea but they execute it well. 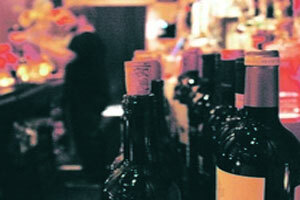 Their drink specials have a decidedly modern approach with half-price nights and happy hours. If you have not instituted similar specials at your own business now may be the time. Sure you don’t want to leave money on the table but the interesting thing about these is that the positive word of mouth generated often outweighs any money you might have lost. Another departure from the norm that isn’t just with Outdoor Furniture is their hours. They have late hours on weekends to fit with the party crowd and the kitchen is open as well. Food is an important part of the charm for many people and could be for your place as well. Being social is a vital part of any bar like this. They post on social media and have social music for their patrons. Connecting with people is what keeps many businesses alive so you want to bring that aspect into it as well. Word of mouth is both hard to get, in the good variety, and incredibly valuable. While we can’t give you a formula for it we can tell you to follow their example with the various things they have done in order to create a new hotspot. Something very strange is happening today with outdoor bars and their furniture. Sure everyone has heard about bans on normal smoking but some areas are even banning e-cigarettes. We are personally a bit confused about it but it is something big that is happening. It stands to reason that even these would come under fire after some time. Come with us to find out how this could change things for your next setup as well. 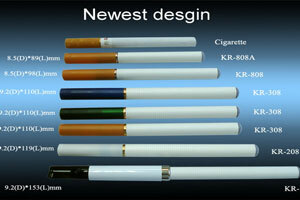 So why has this been happening when these are advertised as the “safe alternative” to normal smokers? Probably because they are annoying to people. There aren’t any serious studies done yet on how harmful they are. However a few people are freaking out that they could be almost as harmful to second hand smokers as normal ones. These are unsubstantiated thus far. However in this case perception is the law. Los Angeles bars have already have this banned. It’s the law there and may spread to other places. However there is something to be said for the fact that there are a lot of health freaks in that area. They take health concerns to a whole new level. This could spread though if the collective consciousness of America decides that they are bothered enough even by these particular pieces. So what does this mean for the person home owner? Probably not too much. However it could cause problems with a homeowners association in much the same way normal smoking would. It really depends on where you live and how much power they have over what you do in your home. There really is no simple answer in that area as guidelines vary all over the world. However for business owners this has some significant ramifications. If your city passes one of these you’ll no longer have patrons sitting on your Outdoor Bar Stools and enjoying a relaxing drag. You’ll have the same problem you would if they were smoking a normal cigarette. Is that a bit ridiculous? Probably but we don’t have much say in it as a lone individual. It’s up to the people who decide on laws. Nothing might be happening in your immediate area. More studies need to be done on this product as well. What is clear though is that public opinion has shifted. No form of smoking is popular in many areas. People just simply don’t want to have it anymore all over the place. That is unlikely to change in the coming years. So how should this change your furniture purchases or how you run your business? It shouldn’t until you hear about some legislation in your own city. Really all we are saying is to keep an eye on it if you are responsible for any bar-like setting where people smoke. It’s a huge issue in many parts of the developed world today and the debate over it is not going away anytime soon. Just be prepared for when it actually has an impact on your own personal life. 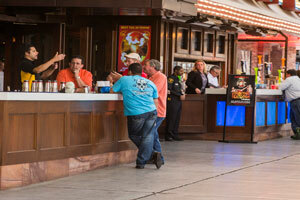 Fremont Street in Las Vegas is in an unusual situation. Due to some disruptions in the area they are having trouble with operating as they did. Choosing great outdoor furniture is the least of their worries in this case. However we can learn from their mistakes as business owners and compare it to our own situations. Hopefully we can all learn something from what has happened with them when we are serving our own patrons or valued friends. So why is it unusual? In a city where vice once ruled all city officials have grown tired of it. Now showbiz and splendor rule everything and it’s the image that they want to give people. Therefore officials have been curtailing the activities of some of the local casinos who set up mini-bars on the sides of some establishments there. Patrons had for years enjoyed a few drinks and occasionally gotten a bit too rowdy in the areas there. Why it’s so interesting for those who buy outdoor bar furniture is because it shows have conflict over money and manners can bring problems for any business like this. In both how they look and how they are run many of these were more “outside” than any other location in Las Vegas. It was perhaps because of this nature that they drew the public eye when a patron was rowdy. The one advantage indoor ones have is that when something bad happens there it can usually be covered up shortly. Now the entire feud has started some massive court cases and arguments over the definition of a bar. The city wants to curtail any future incidents by ranging in these businesses. It is made even more complicated by the casinos and other establishments fighting back saying it impinges on their business freedom. Even worse the scenario is more complicated because the family-friendly businesses in the area want the rowdy behavior curtailed. At the very least it’ll spare your Patio Furniture. You are probably asking “what does this matter to me if I am just shopping for some outdoor furniture?” if you run a business or even have some troublesome friends in your personal life then they can draw some very unwanted attention to whatever you are doing in this area. Make sure that they understand what is expected of them when they are relaxing with a nice beer. If they can’t deal with that then perhaps they need to find somewhere else to hang out. It might not be fun but it is true. You do always want to stop problems like this before they start but sometimes you can’t. Sometimes things go wrong and you just have to deal with it. Try to be pleasant with authorities because when deciding whether to allow or disallow the serving of alcohol it is usually a popularity contest. Anyone can cite a huge number of reasons that any establishment should be closed. What matters is whether those on whatever committee or ruling body you deal with believe they are valid or not. Manners have a lot to do with that decision. The Kerry Hotel Shangri-La in Shanghai is not the usual hotel you would expect to see. They have brought hyper-modern conveniences to everything from their outdoor furniture to child care. Perhaps you want to bring the same impressively modern style to your own setting. So we are going to discuss how they did it and the added touches that really amaze everyone who comes. One major thing they have there is a micro-brewery. You can get one of their unique ales that is obviously only brewed there to relax on. You can also get it served while eating at their restaurant branch (The Meat). This is the first spot of attention to detail that really makes the setup amazing for people there. All of these are served up with additional nice touches like Fire Pit Tables. Their outdoor furniture is also chosen for comfort and reliability in a variety of ways. It’s all set up so that you will get the peak amount of comfort and they won’t have to replace it for some time. This applies to every section from the patio to the inner areas. This attention to quality and detail is one of the many things that makes them so popular. Something you want to bring to any establishment or home is to have a variety of different options when serving guests or entertaining friends. Let us take a look at what the Kerry Hotel does for this: First they have the largest gym in Shanghai with nearly every sort of training facility possible including a huge pool and even a jogging track. Next they have a massive three-story kid’s playground with full slides and equipment. They also do not charge much for these as the services are free or around $9 a day. They also have the various computer systems for booking and ordering room service you would expect. Wi-Fi and other normal services are things you can enjoy on outdoor patio furniture with a nice drink. The basics are something that they do not neglect even while they are doing all of these advanced things. All of these setups are on display as well. They show some of the brewing process at the bar in order to draw people in. The bubbling liquids are enough to make anyone want a drink when they walk by. Presentation is vital even if you have the best of everything. If people do not think that you have the best of everything then you might as well have the worst of everything. Not something you want to happen with your own clients or guests at an event. So in practical terms what does all this attention to detail and expensive bar furniture do for the hotel? Well they have the international success to keep everything paid off and running. People from all over the world come to see this absolutely incredible hotel and bar setup which rivals anything else in the world. If you run a business of your own you should be shooting for rivaling the greatest setups in the world as well. 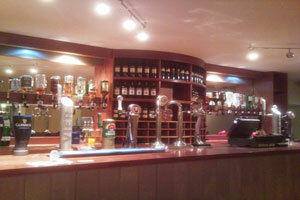 One style which is extremely popular in restaurants today is the family bar. These have a relaxed, safe atmosphere but still serve some light drinks for those wanting to relax. The idea is to keep everyone very happy in a casual atmosphere so that you don’t have to be stressed out after a hard work week. It’s a nice sort of setting to create in your own home if possible so we are going to help you do that shortly. As always you should have fun when first planning for this style. Do you want to go with a home style atmosphere or a sports bar style? Either one can have a family feel to it depending on how you set it up. Ask your family what they would like to see and get comments on pieces friends have used for their own setting. Conversely you can create an atmosphere that feels too much like a wine or sports bar with some outdoor furniture. Try not to have chillers and other things that create a setting like that. Go with casual pieces that are comfortable to sit on. Make sure the kids have some pieces of their own to hang out around because they will want to be in on the fun too. There are juice bars after all. Making it not quite as hokey as some family bars is important too. While you may have a birthday party for someone try not to have everyone sing a song for them when they didn’t ask for it. Likewise you probably won’t need to wear silly outfits unless you are literally having a kid’s party. Things should usually be a bit more subdued. What you drink while lounging back on your outdoor furniture is really important as well. Get some normal beers and maybe even a bit of juice or milk for the kids. Keep it calm and casual, no $400 bottles of wine for that. You probably have enough places wherever you live that try to create a setting like that. As with so many other styles you probably will want a serving countertop made from real wood. You can of course paint it however you want and embellish it with designs. A flat color can also work as well if the wood already has an excellent grain to show off. As we mentioned earlier children are another big part of creating any family furniture atmosphere. Get a little table for them or even build a smaller bar for them to sip some juice at. It’ll make them happy and lend to the fun atmosphere of the setting you are trying to create. Once it’s all finished you should invite some family, maybe even extended family, to try it out and see if it feels right. After all it’s just in the minds of those you love whether you have done a great job or not. Let them be the final judge of the effort you put in to this project. We talk quite a bit about custom outdoor bar furniture. However something much more common is the mass produced bar that we see advertised all over. We’ll go over the advantages and disadvantages of such a thing for you. We’ll also discuss what you might want to look for when shopping around for less expensive pieces like this. Buying a set like this is not right or wrong, but buying pieces from bad manufacturers or ones that do not fit with your sets can be wrong. From $100 to $3,000 hundreds upon hundreds of different companies are trying to sell you their line. They have every style that mankind has ever imagined stacked up. You have so many choices it can get incredibly confusing. Staggering even. Add this to all the local stores which may have pieces like this as well and things can get mind boggling. It’s also quite clear that not all outdoor furniture is made the same. Some pieces may even cost the same amount but have very different levels of quality between them. Be sure to look at each review and see what everyone is saying. The idea is that bad manufacturers will be brought to light but it does not always work that way in marketing. Go over everything and pay careful attention to detail. A product simply being from a country also matters little these days. 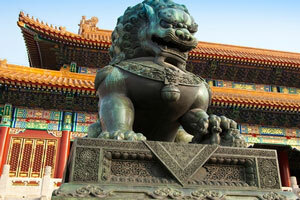 The piece made in China contains parts from Europe and America in many cases. So technically barely anything we use these days is actually made in just one place. Companies just like to make you think that it is so that they can build a reputation. It’s not a strong indicator of what you will be getting from it. 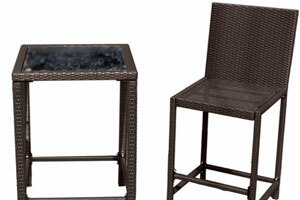 The downside of these pieces of outdoor bar furniture is that they are commonly made and spread out all over. You could end with a piece similar to those your neighbors have or even the same piece. Being unique goes out the window in this cause unless you all compare where you bought it and agree not to have it. Those who are unscrupulous may also send you some pieces which cannot hold up outside after they said it could. Look for fine print in advertising and other notes. Some companies will simply lie to you but others will put a disclaimer up that makes sure their bases are covered. While it is annoying there is little that most of us can do about something like this. You just have to defend yourself from it. That being said there is one upside to the mass production of outdoor bar furniture: price. Prices are falling all over on pieces and you can pick many of them up on clearance. However you need to make sure that a deal is actually a deal in these cases. If it falls apart a few weeks after you have bought it then it wasn’t a deal at all. Don’t get burned by things like that. How to Choose the Best Outdoor Bar Furniture?